ISLAMABAD: Former prime minister Nawaz Sharif’s counsel Khawaja Haris concluded on Wednesday his final arguments in the Al-Azizia Steel Mills reference case before an accountability court (AC) of Islamabad. AC Judge Arshad Malik heard the reference filed against the Sharif family by the National Accountability Bureau (NAB) whereas accused Nawaz appeared before the court for some time and was later allowed by the judge to leave. During the course of proceedings, the defence counsel pleaded that Nawaz’s son Hussain Nawaz was answerable regarding the establishment of Al-Azizia Steel Mills and Hill Metal Establishment (HME). Haris argued that NAB had depended only on the report of the joint investigation team (JIT) in filing the corruption references against his client. To this, the judge remarked that had accused Hassan and Hussain Nawaz appeared before the court to face trial, NAB’s responsibility would have been limited to proving their connection with Nawaz. The defence counsel responded that Hassan and Hussain’s statements could be used against his client. He said NAB did not include other people, who had received money from HME, in its investigation process. “Those people were employees of HME,” he added. Haris said the investigation officer could not claim that Nawaz had become influential after holding various public offices in the country. The defence counsel further said that NAB did not investigate the matter pertaining to shifting of ownership to Nawaz’s sons. 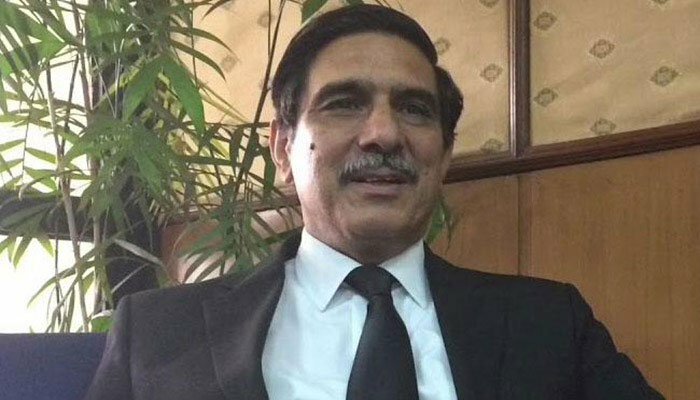 The court acceded the request of NAB Deputy Prosecutor General Sardar Muzafar Abbasi and allowed him to contest some points raised by the defence side. The case was adjourned till Thursday.